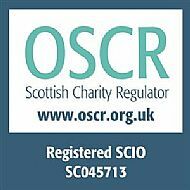 The Board of Trustees is proud to say that it became a Scottish Charity on17th June 2015. We are delighted that the upgraded Thornton Road Community Centre is available for public use, and that a lot of work has also been spent upgrading the garden. Members of the community are invited to hire space within the Centre, or to join in the activities advertised on our notice boards, website, and other media, from time to time. Please note, however, that a ‘first come, first served' basis will apply to all bookings (see 'How to Book'). The Centre has been developed to provide space for a range of activities that will cater for all ages in the community, with particular reference to young people. If you would like to offer your services as a volunteer for the benefit of the community, we would love to hear from you. The Community wing and facilities in Blackwood School, along with the activities that take place in church halls, all play an important role in the life of our community. So, how does Thornton Road Community Centre fit into this scenario? Our jigsaw logo, shown above, reflects that everyone is part of the same picture. We see the Centre as an excellent way of supplementing these existing activities. The current types of activities we provide include meetings for various groups, youth clubs twice a week, young mother/toddler groups, surgeries for politicians, computer classes and two weekly cafes, Yoga classes, chanter classes and an over 60s club. And we are always busy looking for new ideas! We also invite community-minded people with expertise in sports, hobbies, crafts, music and other interests to consider hiring the Centre to pass on their skills. The Centre is also ideal for parties fur the under 10s and we welcome enquiries from local residents. The benefits of the Centre are enormous, and they all point to a greater sense of belonging, sharing and learning. This website is being developed and administered by Thornton Road Community Centre Association (TRCCA). Appropriate photos will be added to the pages in due course.